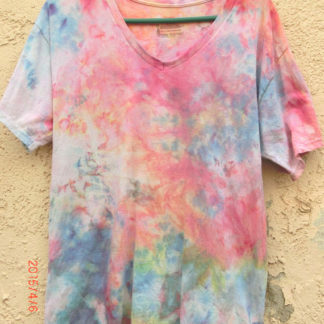 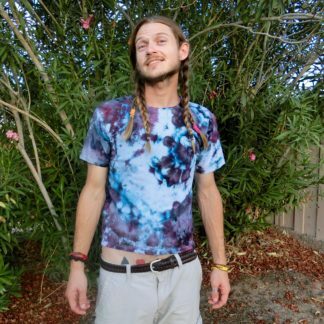 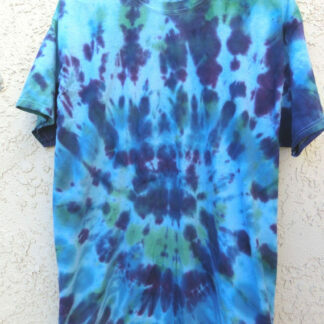 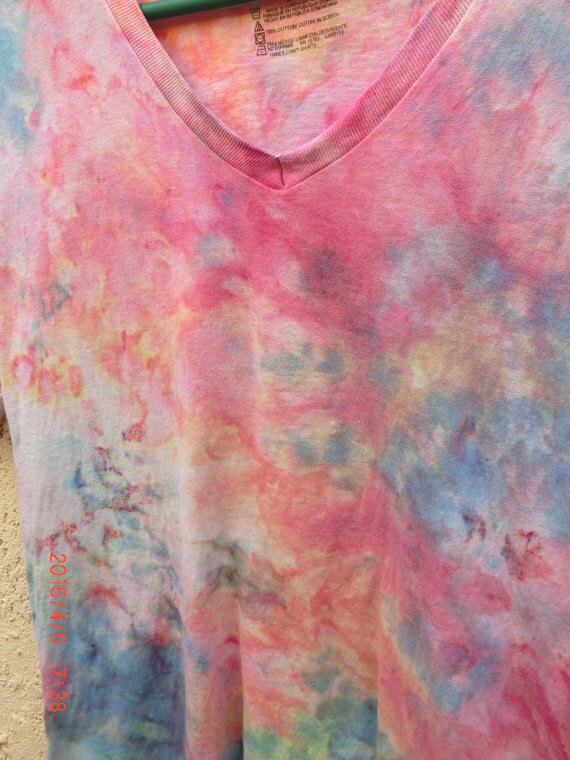 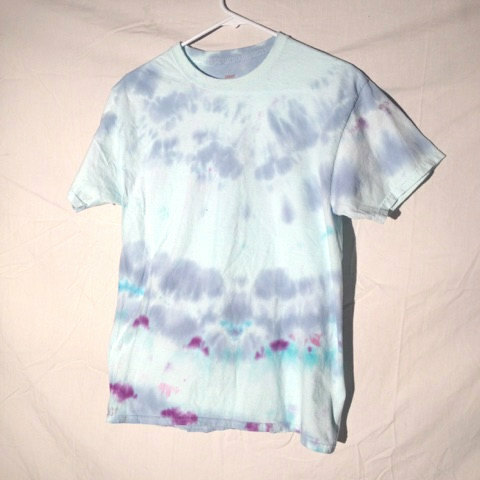 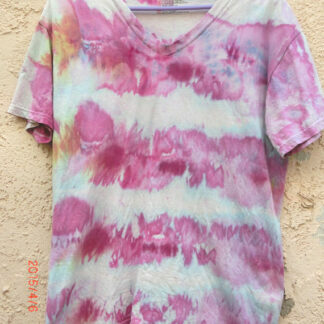 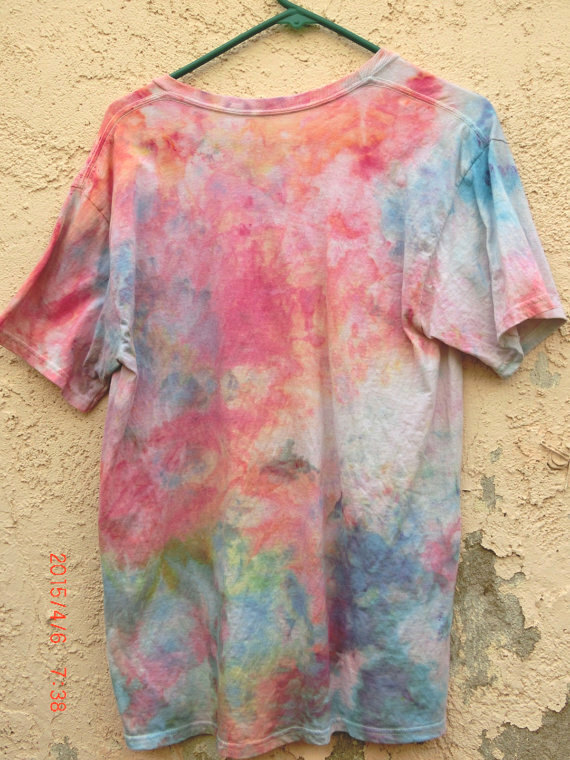 This lovely spring-inspired ice-dye shirt features pretty pinks melting into cool blues. 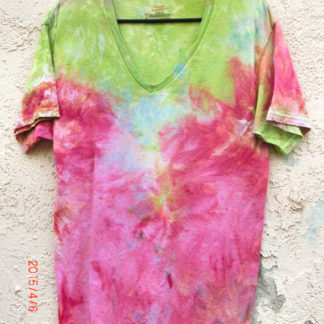 Guaranteed 100% original hand-dyed in the US. 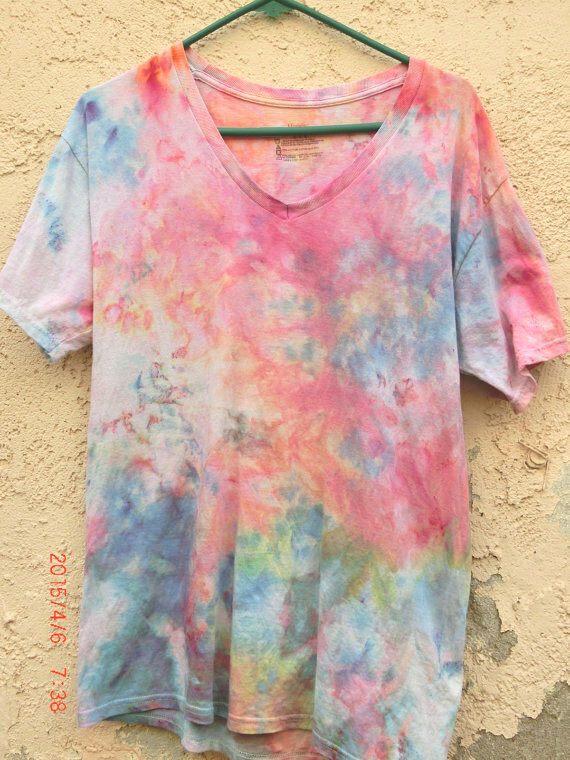 No hippies were harmed in the making of this product.